A student from Bristol University says he feared for his life after falling into depression and not getting the support he needed. A father is campaigning for change after his 19-year-old son took his own life during first year of university. 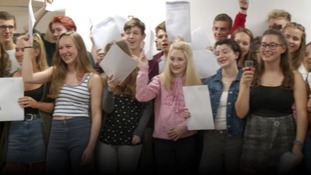 Thousands of students across the West Country have collected their A Level Results with a rise in those achieving As and A*s.
Students in Bristol will march in the city tonight to demand more help for people with mental health issues at the University. Councillors in Bath have voted to cap the number of so-called Houses of Multiple Occupation that are built in the city. Four people have died in Bristol Harbour this year. Local business owners say the fact students are away for half of the year affects income. Devon Police have made an appeal to students and their parents to not let end of exam celebrations turn criminal after two arrests are made. Sir James Dyson wants overseas students to be removed from official immigration figures to bring in more talent post-Brexit. Hundreds of students from the West are heading to London today (4 November) to take part in a demonstration calling for free education. The protesters are angry about the Government scrapping Maintenance Grants, its plans to raise tuition fees and slashing support for disabled students. Under the plans, student grants, available to undergraduates from low income families, will be replaced by loans, in a shake-up of education funding. Critics say it could put the poorest students off attending university.